Lovely, pure white flowers form in big, flat-topped clusters, which resemble lace-cap hydrangeas. They appear throughout the summer above the fine, fern-like foliage. This gorgeous hardy annual has an extremely long flowering period and if deadheaded regularly, will often flower until the first frosts. It is often seen in dry, grassy fields and olive groves throughout the Mediterranean so it is particularly good in wild gardens. 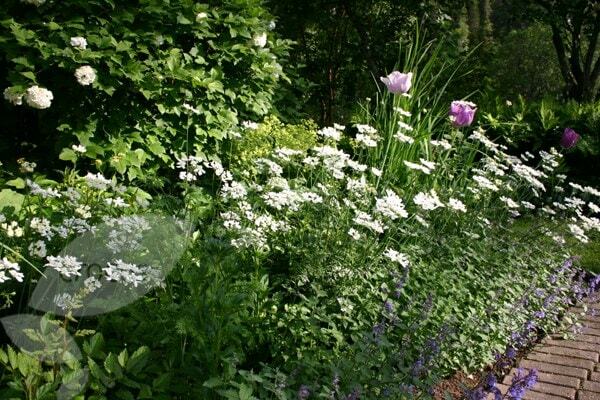 Garden care: Feed with a liquid fertiliser every two weeks when it is actively growing. 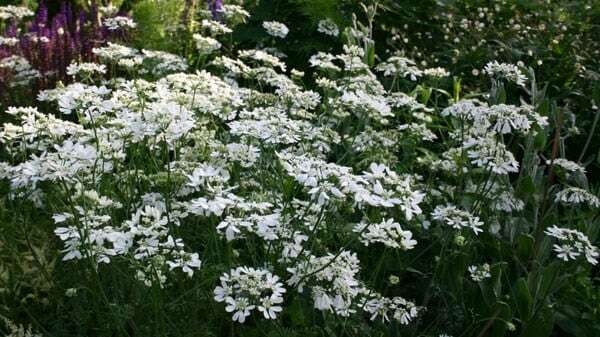 Once the plant has finished flowering you can collect the seed and sow immediately to propagate more plants for the following year. These plants show up at RHS Chelsea every year. You rarely see them for sale as plants and they are not easy to grow from seeds (time consuming). It is great to buy healthy specimens from Crocus each year. 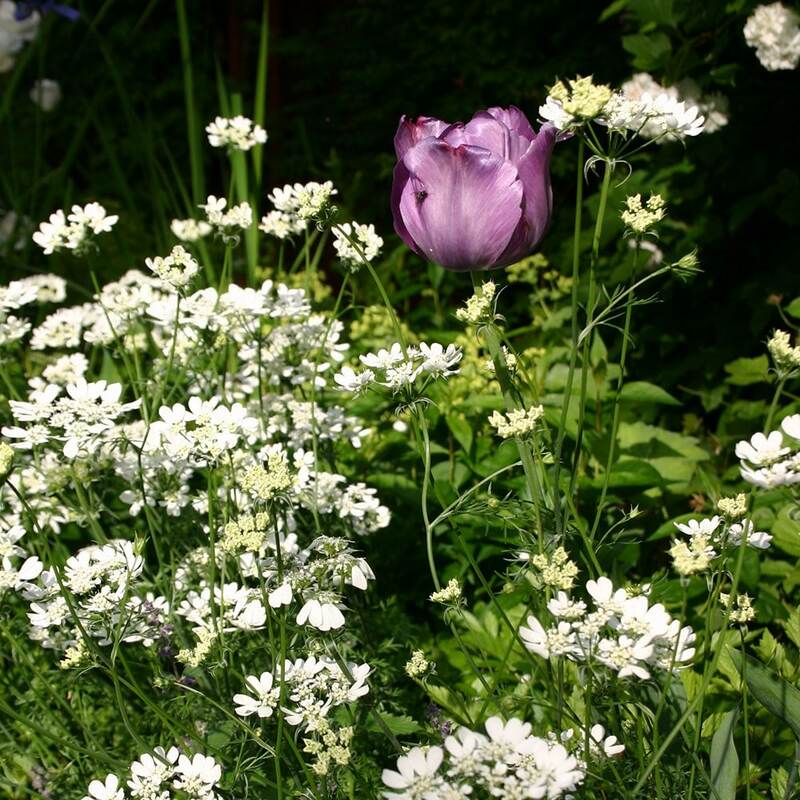 A lovely plant and well worth planting amoungst grown cover to add height and interest..